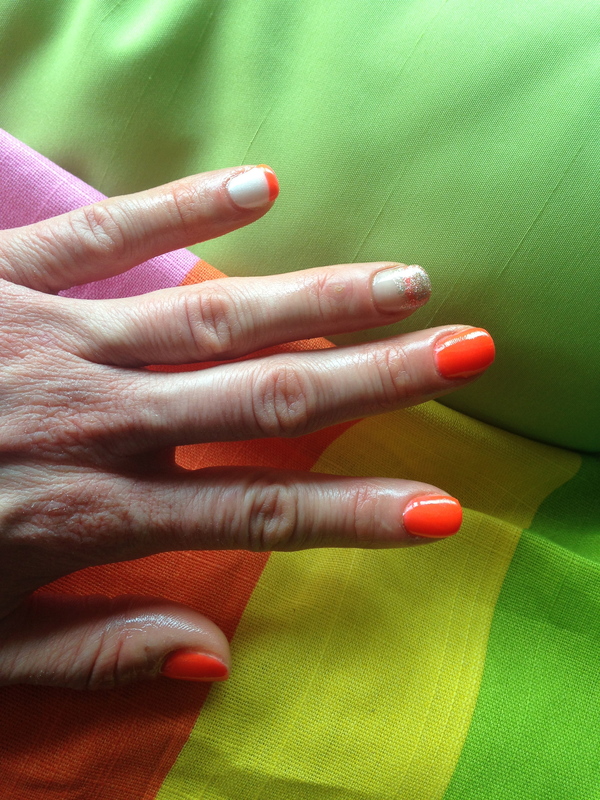 Check out my great ombre sparkle neon french-tip no chip manicure, courtesy of the Beauties at Cosmos Beauty Bar in Glen Ellyn, IL! Happy New Year! I’m coming to you LIVE from my local gym (seriously). I barely made it in here today, even with my super New Years Resolve. Come on, you know how it goes… the day can really get away from you! But I digress. The Universe (and/or my ultra-talented guru nail pro/business-owner role model, Annie) might be trying to tell me (or remind me of) something. Is it: you had one too many Christmas Cookies. You should stay on that T-mill for an extra 20 minutes? Although, it could just be: these colors are awesome. More awesome than treadmills, though. But even better, maybe it’s that: sometimes we have to take moments for ourselves, even when were busy. So besides showing off my new no-chip, I think my point here is this: People get busy. But don’t forget to take a moment for yourself… Be it a manicure, a yoga class, an afternoon with the fam, or a rockin’ workout. It’s important, you guys! That’s all she wrote! Back to blasting calories for me. And until next time, stay fabulous, my friends! 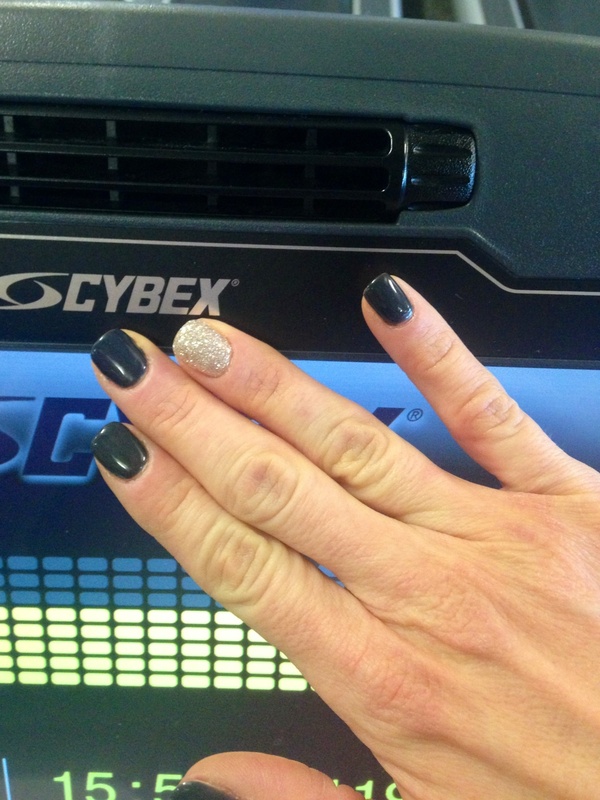 The MULLET MANI is all business in the front, Party in the back! HAHAAHAHA! 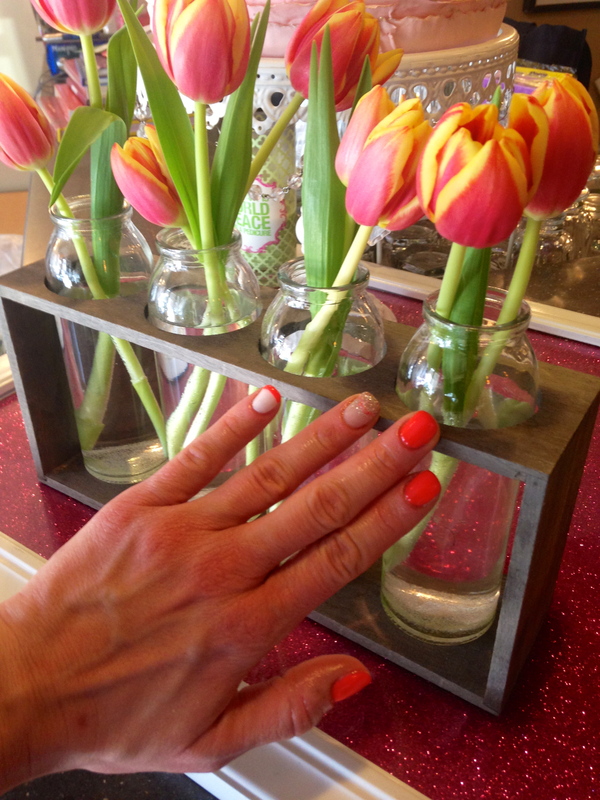 The lovely Kimi at Cosmos Beauty Bar in Glen Ellyn, IL called this the “Mullet-Mani: Business in the Front, Party in the Back”. Hahaha, love it! 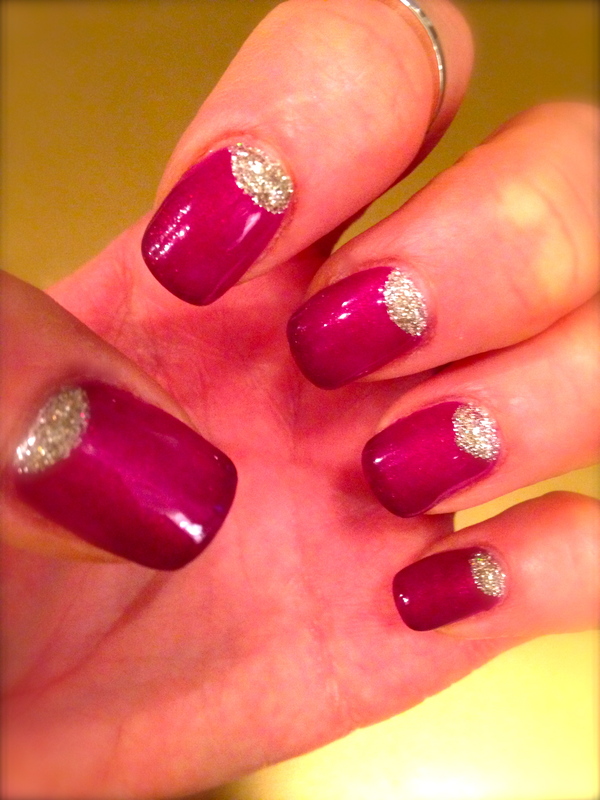 Design/Polish/No-Chip by Annie Johnson, Owner of Cosmos Beauty Bar.